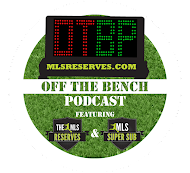 The latest episode of "Off The Bench" is live with some good times ahead. In this episode Luke Lohr and Pedro Gomes discuss Week 20 of Major League Soccer action, Tim Cahill's transfer to New York and what NASL's San Antonio Scorpions are doing with Jeff Cunningham. Guest Alexi Lalas joins Luke to talk about what the AT&T MLS All-Star Match means to MLS and just how they match up against Chelsea FC. He also makes a prediction about just who wins... gingers and slurpees discussed. Early in the podcast I mentioned waiting in a four hour rain delay. 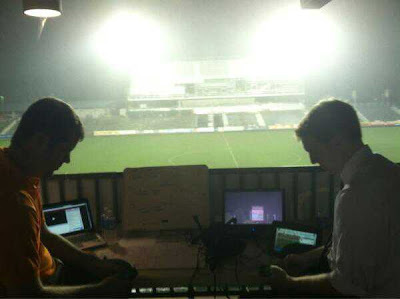 Here's a shot of my partner (James Alverson, left) and I killing time and keeping up with all the soccer action around the league. MLS Live is running on my tablet.